CE Macaroni Pasta Production Line/processing line is new desityed production line which adopts LDroad advanced Technology also combined with our engineer research. It always take wheat flour, Rice powder as the raw materials, through the Single screw Extruder, high temperature heating finally through the Mould to form different Pasta shapes. The shape is like Ring,Roud tube,Square tube,LDrial,Shell,3S and so on according to change the Mould on the Extruder head. The pasta quality can compare with Europe standard. 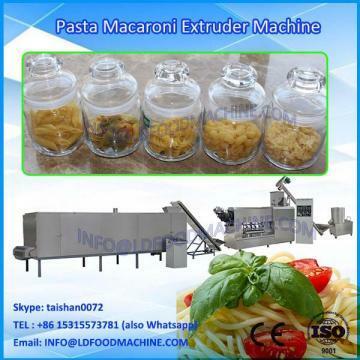 If any request on our macaroni pasta LDaghetti machinery line, please feel free to contect me.